Few of the guests gathered for the wedding at St Nicholas Church, Harwich on December 23rd 1593 would have had any inkling that the bridegroom was to become a figure of international and historical importance. The young mariner was Christopher Jones and his bride to be Sara Twitt, the 17 year old daughter of his neighbour across the street. Christopher was married again within a few months to Josian Gray, herself a widow with seafaring connections. The marriage produced eight children and the couple moved to Rotherhithe in 1611. Jones’s career flourished further during this marriage and he was engaged in trading between England and Europe as well as shipbuilding. The connection with the Mayflower dates from about 1609 when Jones was Master and part owner. This is confirmed in January 1610 when he is mentioned in an Admiralty document. He was identified as Christopher Jones of Harwich, Master of the Mayflower of the same place. On August 5th 1620 the Mayflower, with Jones as Master, and the Speedwell weighed anchor to begin the journey to the New World. The Speedwell sprang a leak and they put into Dartmouth for repairs. After setting off again two weeks later, the Speedwell again began taking on water. This time they returned to Plymouth for repairs. It was decided that the Speedwell would not make the journey and so the Mayflower continued alone carrying extra travellers and equipment from the other ship. She sailed again on September 6th 1620 with 102 passengers on board, of whom 41 were pilgrims and 61 adventurers. Land was sighted on November 9th 1620 and by November 11th anchorage was secured in Provincetown Harbour. The last of the passengers did not move off the Mayflower until March 1621 and she set sail back to England on April 5th. 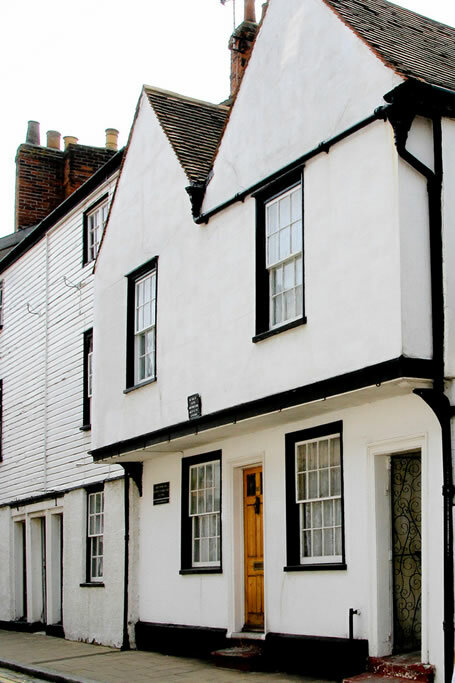 The connection with Christopher Jones and the Mayflower still continues in the town. There is an exhibition in the Ha’penny Pier Visitor Centre and Jones’s house still exists in King’s Head St (Sara’s home is still opposite although now it is a public house, the Alma). There is a school locally called the Mayflower and the branch railway line between Harwich and Manningtree has been named the Mayflower Line. The 400th anniversary of the Mayflower will take place in 2020.